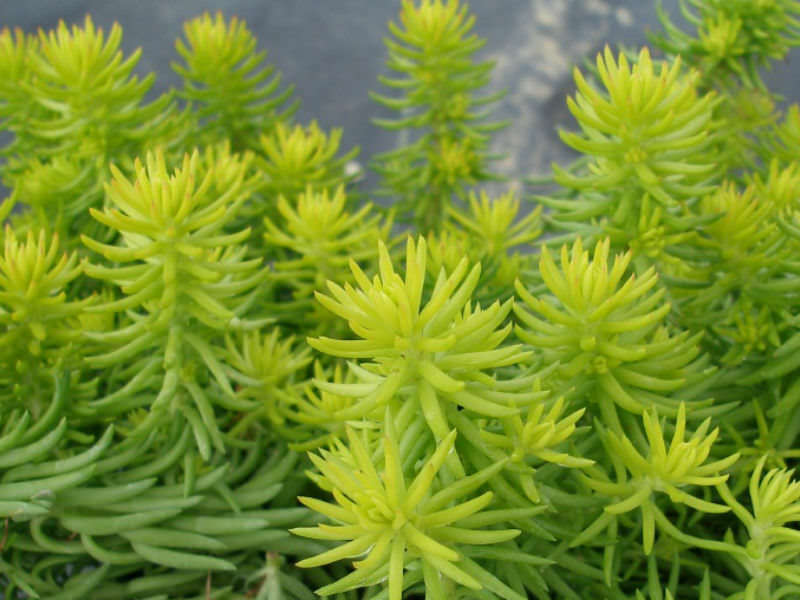 Sedum rupestre ‘Angelina’ is an evergreen, mat-forming, rapidly growing plant, up to 5 inches (12.5 cm) tall with a prostrate, creeping habit. 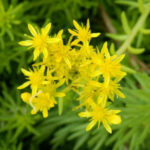 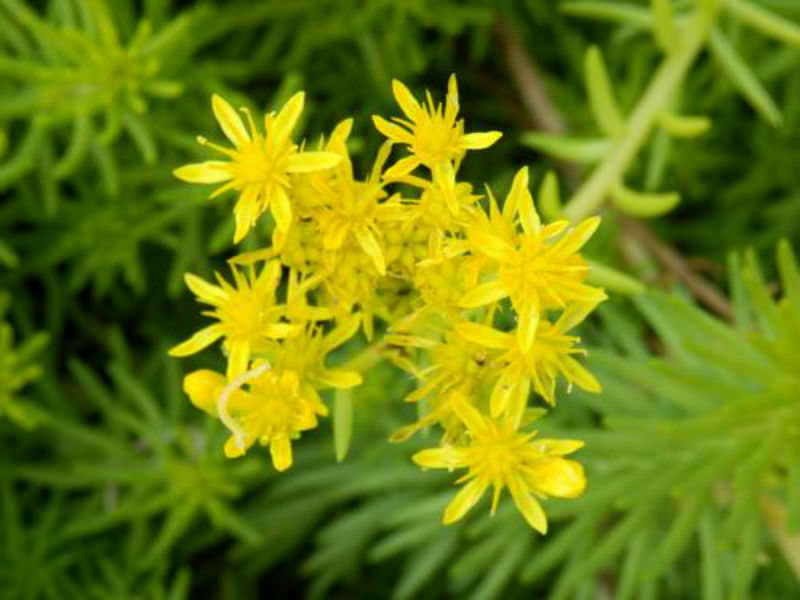 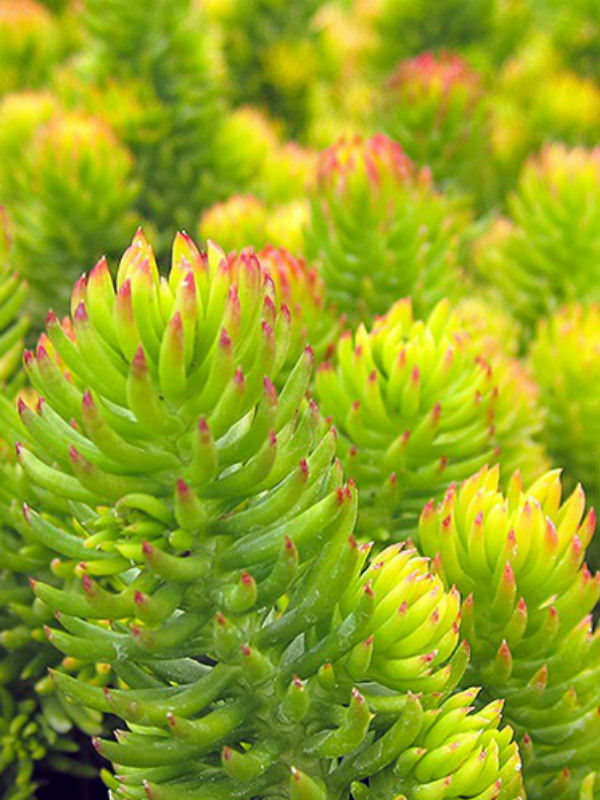 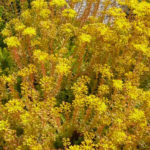 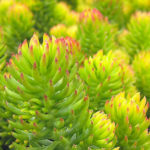 Its needle-like, succulent foliage is lime green in spring that ages to a brilliant golden-yellow color that is topped off with clusters of vibrant yellow, star-shaped flowers in summer on up to 8 inches long stems. 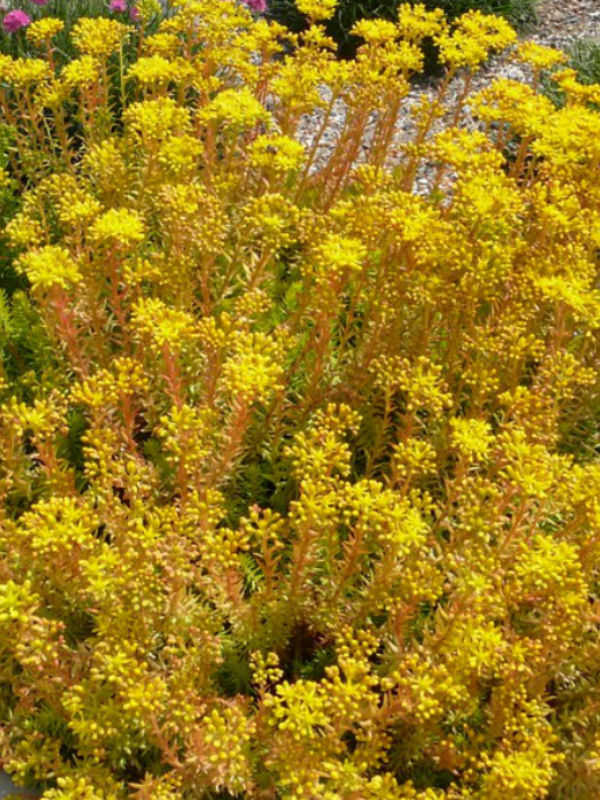 In fall the foliage takes on an orange hue.